QOTW: Did you buy a 3DTV? Remember when 3DTVs were all the rage? Having first invaded tech trade shows, 3D sets from all the major manufacturers soon infiltrated the local electronics shop before inevitably finding their way into our homes. 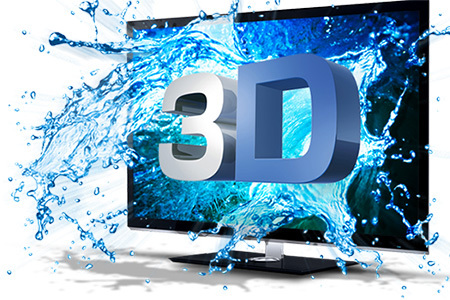 According to research firm DisplaySearch, 3DTV shipments have increased rapidly in recent years. A total of 41.5 million units were shipped last year, compared to just 24.1 million in 2011 and 2.3 million in 2010. Steady growth and promising signs for a 3D future, one would think, but apparently not, as 3DTV broadcasts are now in rapid decline. Following on from ESPN's decision to close its one-and-only 3D sports channel, the BBC announced this week that it will 'indefinitely' suspend 3D programming "due to a lack of public appetite." The omens aren't good, but will a decline in 3D content leave a sour taste in the mouths of those who have spent large sums on 3D-ready sets and the accompanying glasses? To find out, we're putting the question to you, our readers: did you ever buy a 3D TV? And if so, do you still consider it a good investment? Let us know in the comments below. generally I have found or seen that 3d tvs are much clearer and “scan” much faster. I do not own one myself as I am not planning on upgrading my 36" CRT until something much larger is available for around a fair price, or it breaks. Until then I will just have to make do.